Popular in the world! 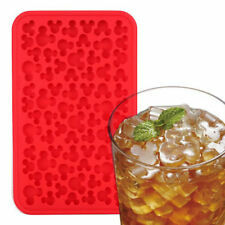 Mickey Mouse ice tray. 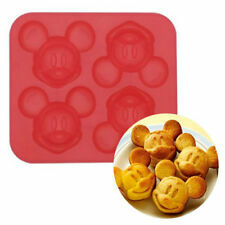 Mickey's small ice can be easily made in various sizes. It is made of soft silicon so it is easy to remove ice. - are not in a hurry to receive your order. Material : Silicone. Color : Pink. I will do my best to help you! I'll send your goods quickly with care. Origin: Korea, South. Colour in the picture might be slightly different due to the lighting when picture is taken. Material : Silicone. Color :Red. I will do my best to help you! I'll send your goods quickly with care. Colour in the picture might be slightly different due to the lighting when picture is taken. Material : Silicone. Color :Red. I will do my best to help you! Origin: China. Size : 5" x 8.1" x 0.3"(12.6 x 20.6 x 0.8 cm). Colour in the picture might be slightly different due to the lighting when picture is taken. Origin: Korea. Material : Plastic. Color :Multicolor. I will do my best to help you! Material : Silicone. I'll send your goods quickly with care. Material : Silicone. I will do my best to help you! Origin: Korea, South. 1 Pc Silicone Mould Haunted Gravestone Easter Cake Ice Bread Chocolate Mousse. Creative Bar Kitchen Mold Party spherical Round Ball Ice Cube Maker Tray Mould. Ice Cube Chocolate Cake Mousse Bread Santa Claus Christmas Tree Maker Silicone. Easy to clean, you can clean the mold just with the water in the mold and stick is reused without wasting. The cute shapes will bring more fun to your family. Best gift for both adults and kids. You can create your own unique frozen treats can be perfectly catered to your family's tastes. 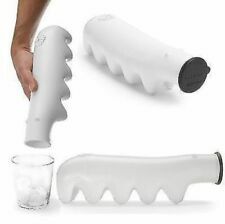 1 x Ice Tray Mold Maker. Shape: Gun. Type:Ice Cream Tool. Material: Food Grade Silicone. Color: Black. It is small ice Hello Kitty, it is. Material Material: Silicon resin. made of silicone ice tray. ice removed easily soft, made of silicon. small ice easily. material: silicon resin. [ Allergy ]. [ Multiple sizes and colors ]. Material : Silicone. Colour in the picture might be slightly different due to the lighting when picture is taken. 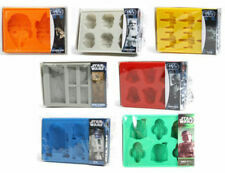 Ice Cube tray made of non-toxic silicone and made up of 12 different characters. It can withstand temperatures up to 225 degrees, so it can be used as a baking tray as well as a ice tray. Material : Silicone. Great for making ice, chocolate, candy or crayons! Deluxe 3 Pcs Silicone Tray - Molds. Great for Parties, ice-making, candy making, chocolate making and crayon making. The Yellow building brick tray is 7 1/2" x 4 3/4" x 3/4". It is impossible to trace in Australia and Canada. It will arrive in 1-2 weeks. It will arrive in 2-4 weeks. Guitar Handle : 5.67 0.83 0.71in/14.4 2.1 1.8cm. 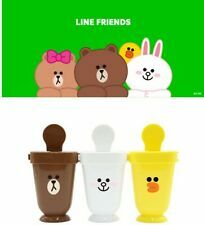 Material: Plastic Silicone. Size: 8.19 6.81 0.87in/20.8 17.3 2.2cm. The images are for reference only. Color: As the pictures show. Material : Silicone. I will do my best to help you! Origin: China. Colour in the picture might be slightly different due to the lighting when picture is taken. Size : 5" x 8.1" x 1"(12.6 x 20.6 x 2.6 cm). Chill your drink in style with these fine silicone molds. Go have fun in the kitchen and put your imagination to work. Made of food-grade silicone, these molds are safe and are sure to set the scene at your next affair. ** Tray may come in a different color than the picture **. Marvel Comics Ice Cube Tray Silicone Mold Party Hulk Iron Man Captain America. Also Marvel shoelaces condition is New for both . Shipped with USPS First Class Package. Material : Silicone. I will do my best to help you! I'll send your goods quickly with care. Origin: China. 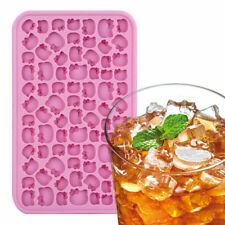 The 3D Skull Design Ice Cube Mold is a great alternative to round ice or the ak ice tray. This 3D Skull Design Ice Cube Mold will add an explosion to you and your guests drinks. 1 x Skull Ice Cube Tray Molds. Marvel Comics/Iron Man/Captain America Glass & Ice Cube Tray Combo Pack. Includes 2 - 16oz glasses and rubber ice cube tray. Great gift idea for the Marvel comics fan. The box is creased on the sides. Marvel Comics Ice Cube Tray. New In Box. Use as a party centerpiece. These molds are perfect for creating unique chocolates. Disney Pixar Monster Univ. 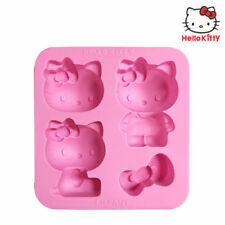 Baking And Ice Cube Tray Silicone Molds Cute Design. Material : Silicone. I will do my best to help you! Origin: China. Colour in the picture might be slightly different due to the lighting when picture is taken. Material : Silicone. Color :Pink. Size : 4.3" x 8.3" x 0.9"(11 x 21 x 2.3 cm). I will do my best to help you! 1 x Ice Tray Mold Maker. Type:Ice Cream Tool. Shape: Gun. Material: Food Grade Silicone. Color: Black. Marvel Ice Cubes Tray. The cold war is on! Official Marvel Comics Ice Cube Tray. Makes 8 ice cubes shaped like four Marvel Super Heroes. Food safe silicone Ice Tray with 8 molds. The Thing Face. How Can I Cancel Or Change My Order?. After which we will discuss the problem with you and resolve the problem. Depth: 30mm. What Happens If My Order Doesn’t Arrive?. The cold war is on! Marvel Comics Ice Cube Tray. 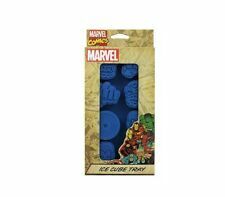 A great item to chill with, this ice cube tray is a must have for any fan who's uttered the words "Make mine marvel!". 'Nuff Said?! 1x Ice cube tray. Make your drinks super-drinks with superhero ice cubes!